Started by Shauna Byrne a.k.a poet Lizzy Byrne, The Intercollective is a weekly Open mic/Jamming session. It is a homely poetry and music evening in the basement of the International Bar, 23 Wicklow Street in Dublin on every Sunday evening. Each event has an in-house musician to accompany artists. With a list of featured acts performing each week it is a beacon for local talent. Those who want to take part in the Open Mic sign up on the night! The Circle Sessions is a performance collective of musicians, poets, spoken word artists and comedians who meet every Monday night in the basement of The International Bar in Dublin. Fundamentally, the show is an open mic without a mic. The emphasis is on listening and on performance of original works. Acts can be pre-booked or simply turn up on the night. We guarantee all walk-ins a 5 minute slot. Featured acts vary week on week and there is an event page for each night on our Facebook page. Weekly Open Mic hosted by Limerick Poets' Society every Wednesday in Brendan O'Brien's Pub. Formerly the White House Poets, they have moved venue and re-organised this year. Everyone is welcome to listen, read their own poetry and enjoy a friendly and supportive atmosphere. Monthly Open Mic The Sunflower Sessions presents a night of poetry, prose, spoken word night on the last Wednesday of each month from January to November, from 7.30pm onwards. For 2019 it has a new home in The Lord Edward Pub opposite Christchurch Cathedral in Dublin. Those who sign up have 4 minutes to perform/recite their work. Lovers of writing are welcome always! Flare is The Sunflower Sessions’ quarterly narrowsheet publication containing poems by those who have read at The Sunflower Sessions (see flare.ie for more info). Copies are available on the night for €5 but don't feel you have to buy a copy to come along, the Sunflower Sessions open mic is always free to all. A free-in, monthly night of live music, poetry, storytelling at Good Thyme Cafe on Mayoralty Street, Drogheda. Good Thyme Thursdays runs on the last Thursday of the month and offers a platform for local and regional diverse artists to support in establishing themselves as well as introducing the community to performers from further afield. Events kick off at 8pm with refreshments including tea, coffee and cake served on the night by the culinary maestros of Good Thyme Cafe. Rathfarnham. Founders/facilitators Paul Bregazzi & Daragh Bradish. This month they have two featured writers followed by an Open Mic. The Speakeasy Sessions are a monthly spoken word event, last Tuesdays from 7.30 @ The Tanyard in Skibbereen. Spoken word - story-telling, poetry, performance, reading, mime. Register on the night to participate but best to let us know in advance to be sure of a slot. All welcome. Free. 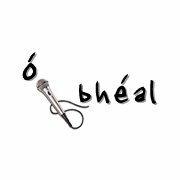 We accept all events happening on the island of Ireland that feature and promote spoken word: poetry, comedy, theatre, hip-hop/rap, storytelling, open mics, plays, slams, competitions, festivals, fundraisers, feature events and launches. Clic HERE to fill out the form before midnight 24th April and have your event included in next month’s listings.